Trad pub may have been the first to cash in on the recent adult coloring book craze, but now indie authors are joining the fun. Earlier this week author Joe Konrath published a trio of coloring books. The books, which can be found on Amazon in both Kindle and POD formats, and are 100 pages long. 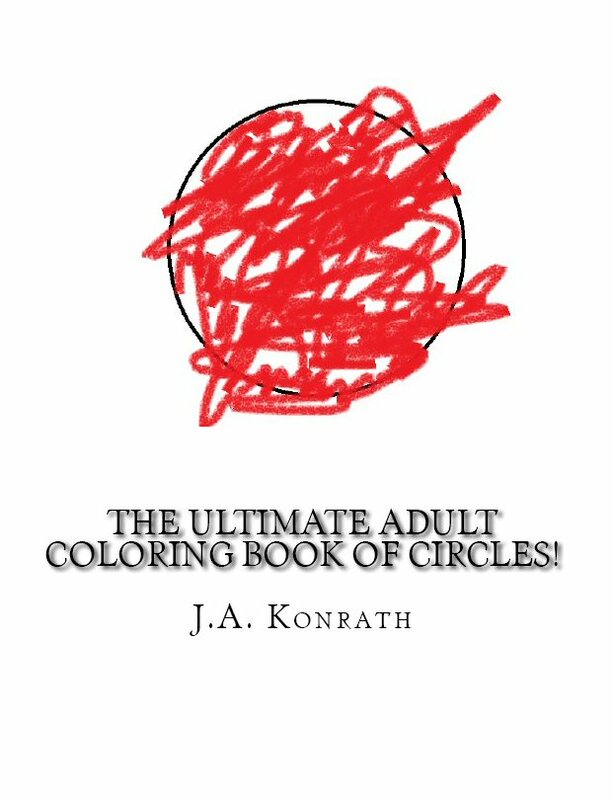 I was fortunate enough to get an early copy of the books, and I really think Konrath has outdone himself. Each volume focuses on a single classic shape, giving me the perfect opportunity to perfect my technique with a variety of drawing implements. Or at least that's what I thought going in. But now I have tried the books, I feel that the third book, which covers triangles, is derivative and tired. The shapes are just unoriginal, like they're trying to be both a circle and a square, when in fact they can be neither. But you don't have to take my word for it; you can find the books on Amazon ($1 on Kindle and $10 POD). The audiobook versions are due out later this year. Got my new audio crayons, come on the audiobooks! I’m definitely holding out for the audiobooks! Does the Kindle version come with a felt markers that I can use to paint on the screen? I have removing crayon marks from my reader when doing coloring books. that konrath. always ripping off readers. but he always pulls these sneaky tricks. see through his schemes, it’s their problem.